Due to popular demand, Rivers of Nihil have decided to play their latest album, Where Owls Know My Name, in its entirety from start to finish at every date of their upcoming U.S. tour! The band will be bringing saxophone player Patrick Corona on the road to perform every night, and guitarist Jonathan Topore will be handling additional keyboard duties. Don’t miss this very special opportunity to witness the critically acclaimed album performed live as it was meant to be heard. 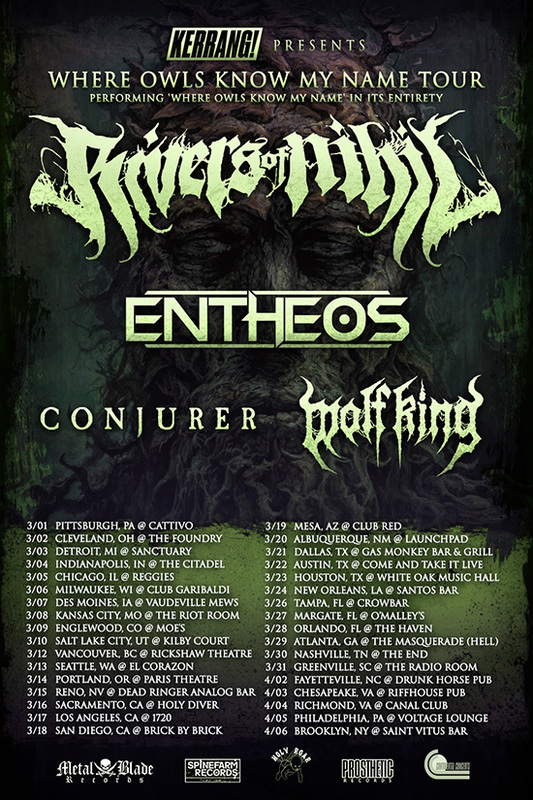 The tour will be the band’s first full-U.S. headlining run, with Entheos, Conjurer, and Wolf King as support.